Rosemary is a decorative plant which has many culinary, medical and aromatic properties. It has needle-like leaves and its flowers are usually of white, pink or blue color. Rosemary leaves and flowers both are used for its meditational properties. Both can be consumed in a very small quantity by making an infusion with water or wine. Rosemary is a strong stimulant which helps in calming the senses and nervous system and is, therefore, a good remedy for a headache caused by poor blood circulation. Relieves depression and helps in stomach upset and malfunction of the liver. Rosemary wine when consumed in small quantity twice a day with main meals helps in case of a weak heart. Rosemary is said to improve the memory. Rosemary can also help in relieving water retention by stimulating the kidneys function. Rosemary wine is a good tonic for the entire system. External application of rosemary oil helps in relieving rheumatic pain. External application of cream, lotion or oil containing Rosemary can help to get rid of under-eye puffiness. An infusion of rosemary leaves is a good mouthwash for gums, bad breath or a sore throat. After rinsing hair thoroughly with water, a final rinse made of pouring rosemary in boiling water helps in enhancing hair shine. Rosemary also helps in getting rid of dandruff when externally applied. You can plant Rosemary in your kitchen garden or get Rosemary to extract in any herbal store. 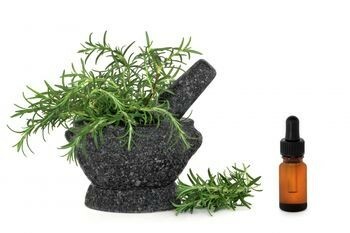 Rosemary essential oil is also easily available in many herbal and beauty stores. The use of Rosemary herbs helps in strengthening the body and treating disease. Herbs, however, can trigger side effects and interact with other medications or herb. For these reasons, you should take Rosemary or any other herbs under the supervision of a health care provider.